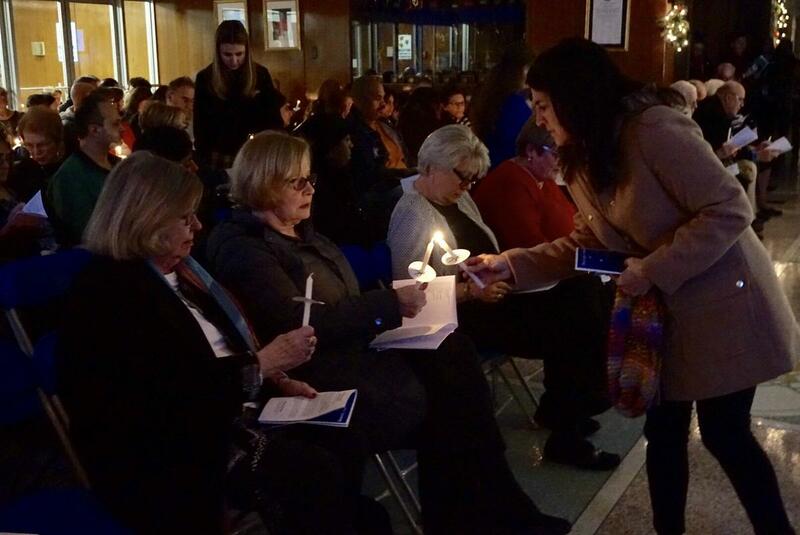 Union Catholic opened its doors and its hearts to the UC Community and shared the Christmas spirit in a thoughtful and prayerful manner on Tuesday night when it held its annual Tree of Lights Ceremony, which was followed by a Christmas Concert that featured the talents of several UC students. The Tree of Lights, hosted by Union Catholic's Parent Council, represents a living memorial and a way for the UC Community to honor and remember a friend or relative who has passed away. Each light on the Tree of Lights is representative of the life of a loved one and a season-long reminder of those who have touched our lives. 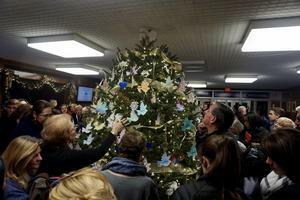 The names of loved ones were printed on a dove ornament, which were decorated by UC's National Art Honor Society, and placed on the Christmas tree in the main foyer. 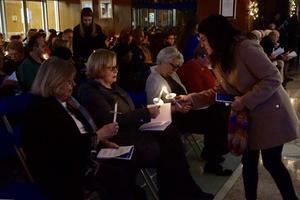 All those names were read aloud during the service, and the doves were then claimed after the ceremony by friends and family members.